The Hugh Hodgson School’s Music Minor in Jazz (offered to music and non-music degree seeking students) permits individuals the opportunity to study the form, harmonic and melodic structure and history of jazz music. 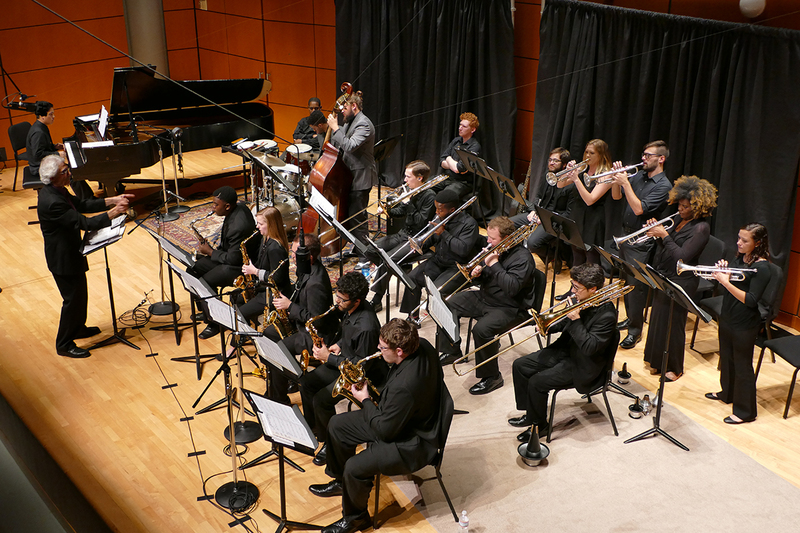 Students also enjoy numerous performance opportunities through our jazz ensembles. The minor is an excellent way for students to develop their appreciation and skills of this art form while pursuing other areas of study. Students in other majors who have interdisciplinary interests also find the minor valuable as preparation for further studies dealing with the arts and culture. Interested applicants are expected to formally apply to the HHSOM and audition in their primary instrument, which are held at the beginning of each term. Applicants will find detailed audition repertoire requirements here. Any specific questions concerning audition requirements, should contact David D’Angelo. For matriculated jazz studies minors seeking guidance regarding coursework, please contact your music advisor. The Hugh Hodgson School of Music only accepts APMusic Theory credit for music minors. The student must score a 5 on his or her exam in order to receive equivalency credit for MUSI 3550. For a suggested matriculation study, click here. At this time, students are unable to add our jazz music minor through Athena. As such, admitted minors are asked to complete this form, and email it to Seth Peters at sethpete@uga.edu in the music advising office.